Protective tubes and cases are am essential element of our tackle tool box. We have invested carefully in our fly rods and reels - these deserve the best protection we can provide when making the move from home to our fishing destination. 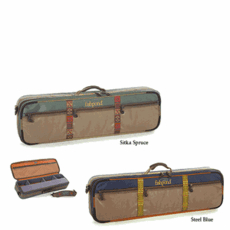 The Caddis Fly Shop offers Fly Rod and Rod-Reel travel cases and tubes by Sage, Fishpond, Orvis, and Simms. 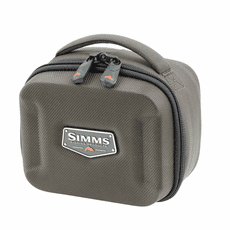 The Caddis Fly Shop inventories a nice assortment of padded cases to protect fly rods and fly reels - cases by Sage, Fishpond, Orvis, and others. 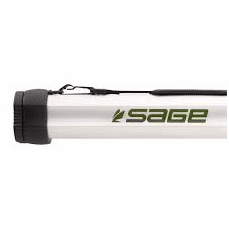 We offer protective tubes for rods only, padded cases for reels and spools, and padded cases for rods with reels attached. 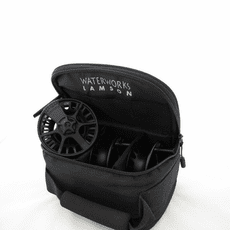 The latter product includes cases for one or two rods with reels attached. These rod tubes are available in various lengths to accommodate most fly rods, including spey rods, so give our selection a careful review and we think you will find the proper cases for all of your valuable rods and reels!